Things to Do near Green River, Utah. Camping, Sightseeing & More! You’re heading to our Green River headquarters to embark on a sweet river rafting vacation—maybe Desolation Canyon, or Westwater Canyon. Or you just finished up your Utah whitewater rafting adventure and have some more vacation days at your disposal. 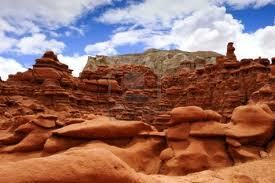 Either way, you’re looking for a little more to do and want to extend your trip to this amazing part of Utah. Don’t put up your feet just yet after your rafting trip, because there are more great outdoor activities to explore around here. 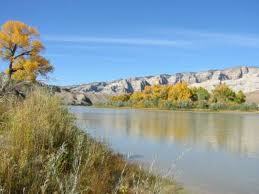 Take a look at our recommendations of things to do in Green River Utah. Yes, a real geyser, the nature-powered kind that shoots water into the air. This cold-water geyser isn’t as predictable as Old Faithful, but if you have a bit of patience, you might be rewarded with a fascinating sight. You’ll take your chances on whether or not you get to see the geyser going off, but it’s a short hike to the site, which is just outside town. If you want to head straight to the “big town” (pop. 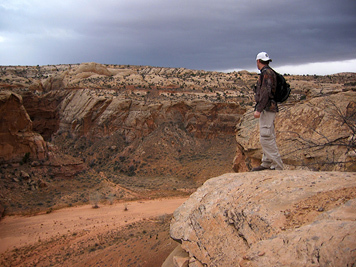 5,000-ish), check out our short list of some activities in Moab. 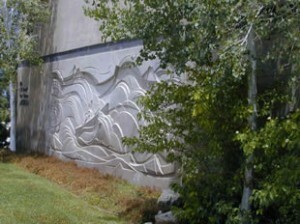 Find it 52 miles southeast of Green River. There are also some interesting things to do around teeny town Blanding, located 126 miles south of Green River Utah, which actually has a little more to offer than you might imagine! It is en route to Lake Powell, Capitol Reef National Park, Bryce Canyon National Park, Zion National Park.